FFWPU Ukraine: Our event was held from On July 25-29, 2015, in Ukrainian. It was a 1800km rally from Dnipropetrovsk wnet to Kyiv, Zhytomyr, Rivno, Dubno, Lviv, Krakovets, Kyiv. Due to the rally “Peace Road” participants expected to lay the foundation for peace and friendship in the Ukraine, where everyone can live in freedom, harmony, cooperation and prosperity without racial disharmony, interreligious and international conflicts. Ukrainian participants made the entire route in 5 days on foot, by car and ran from the eastern to the western border of the country. 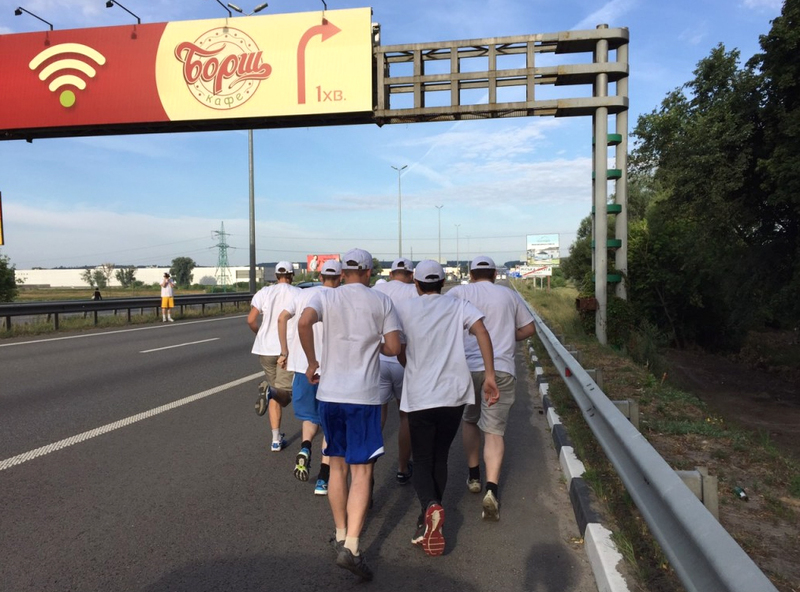 Starting with Dnipropetrovsk participants got to Kyiv and then went to Zhytomyr. Mrs. Lubov Tsimbalyuk, the mayor of Zhytomyr warmly welcomed the participants. Also Omori Nobuko as a specialist in Japanese calligraphy drew the character (means “bright future and a hope”), which was presented to Zhytomir City Major Mrs. Lubov Tsimbalyuk and urged all join hands for a bright and peaceful future of Zhytomyr and Ukraine. Throughout the route, participants met with many people and guests of the country who supported the friendly idea of Peace Road 2015.